Gunna stopped by The FADER to discuss hood melodies and chasing dreams. Gunna doesn't do anything half way. The Atlanta rapper and motivator gave it all to pursue music. That work ethic shines through on his new mixtape Drip Season 3. With features from Lil Yachty, Young Thug, Lil Uzi Vert and more, the 17 track project enumerates Gunna's perspectives. 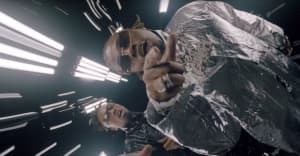 "It's hard, transitioning from one thing to another, that's with anything you do," explained Gunna when he recently dropped by The FADER's offices. "I had to quit everything. I had to give it all for music. I had to go broke for music." Watch the full interview with Gunna above.